I'm constantly changing my phone case! Having an iPhone has become an accessory in itself these days. I love changing up my phone cases and finding new cute designs. As a college student a functional but cool phone case is the dream combination. JimmyCASE phone cases combine great looks with a practical design. 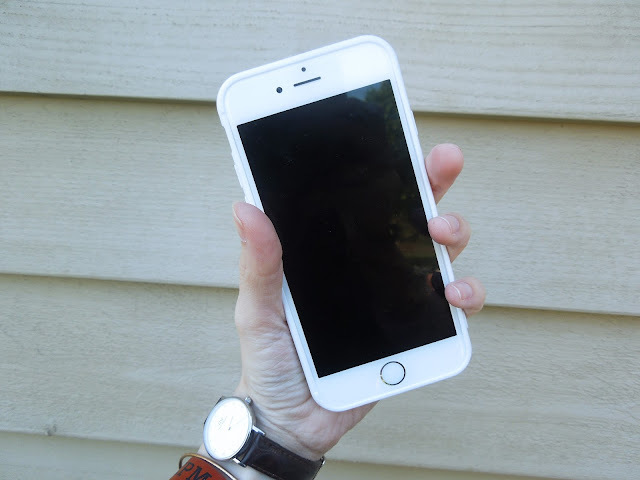 I picked out the wallet iPhone 6 Wallet Case case from JimmyCASE and I am loving it. My case features a pink and grey band with a white bumper. Every case has gorgeous mahogany wood to create a unique look. There is a stretchy fabric band on the back that is made for sliding in credit cards, your license for bar hopping, or your school ID. This wallet phone case is perfect for any college student on the go and would make a great high school graduation gift! College students live for multi-tasking, at least I do, so this case does double duty as a wallet and phone case. 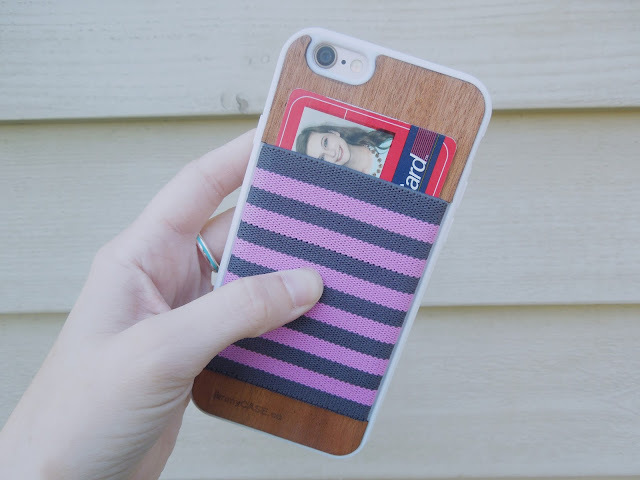 Not to mention this phone case can eliminate the need for a wallet in your purse or pocket. Since I am turning 21 next month I know I will be using this case to lighten my purse when going out. If you're a person who already uses your phone as a wallet (aka putting your card or money on the bottom of the case), this case is perfect! The band is super stretchy but stays in place so your cards won't fall out. So, this case not only protects your phone but, protects your cards and cash. An added feature of JimmyCASE phone cases is that they can be customizable! Pick your band and bumper color for a personalized look. Choose from multiple bands and black and white bumpers to make a JimmyCASE just for you! I opted for the girly case, but there are lots of options for both girls and guys. In my opinion they would make unique gifts for your boyfriend or guy friend. What is your favorite phone case? Be sure to check out JimmyCASE for your next phone case. JimmyCASE sent me a phone case to review. All opinions are my own. 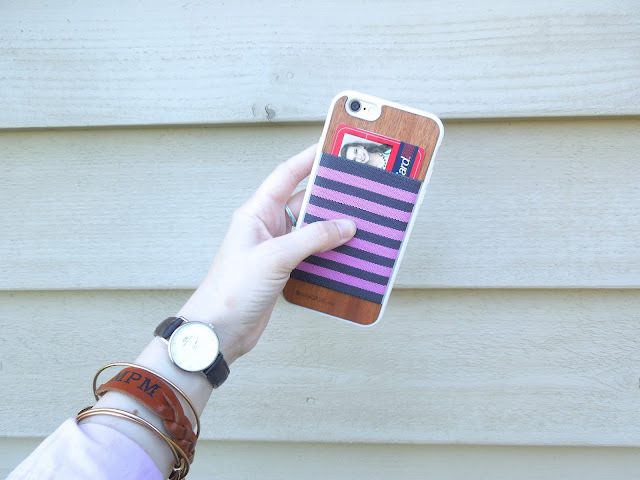 This phone case is adorable - I love that it can hold a card or two in the back! This phone case works as both wallet and phone covers. Looking for these types of cool and funky style phone cases then, check this out Venaproducts for iPhone X Cases which are available at an affordable price. I like this wallet and phone cases style of combo covers so that you keep some of cards into it. Drag Queen Merchandise is the store from where you can get variety of design of phone covers.